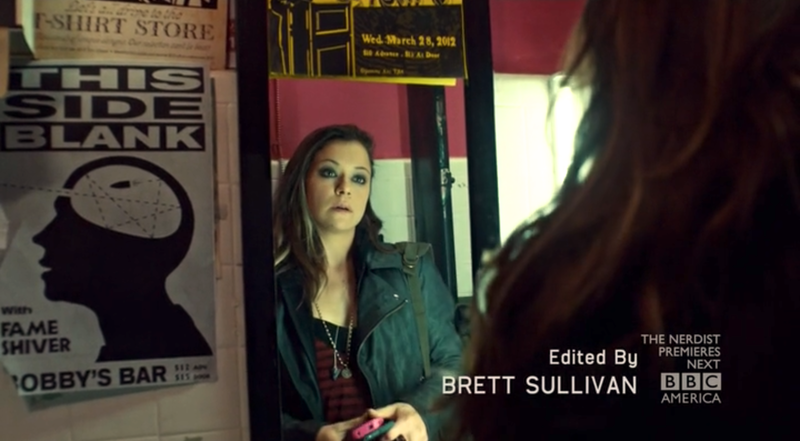 In Orphan Black, mirrors make for a pretty obviously symbolic motif. Mirrors, by nature, reflect what you are back at you, so it makes perfect sense for them to be heavily at play in a show like this. Throughout the series' first episode, “Natural Selection,” mirrors seem to follow Sarah Manning as she becomes submerged in the world of her double. We constantly see Sarah through mirrors, from the very first moment she begins to question herself, and all throughout her transformation into Beth. But, the mirrors don't stop there. Often associated with twins and diametric opposites (thesis and antithesis, yin and yang, right and left), mirrors serve the story of Orphan Black in plenty of symbolic ways. And their presence, obviously, isn't just meant to be seen and not heard. Is not life a mirror maze? Well, Rockabilly Bob, Sarah's life certainly seems to be. As Sarah stares into the face of the second twin of herself she's seen die, it's clear that the reflections are starting to be more than mere coincidence. But, interestingly, with regard to Helena, despite being in front of a mirror when she appears in this opening scene of "Effects of External Conditions," the viewer never sees her reflection. 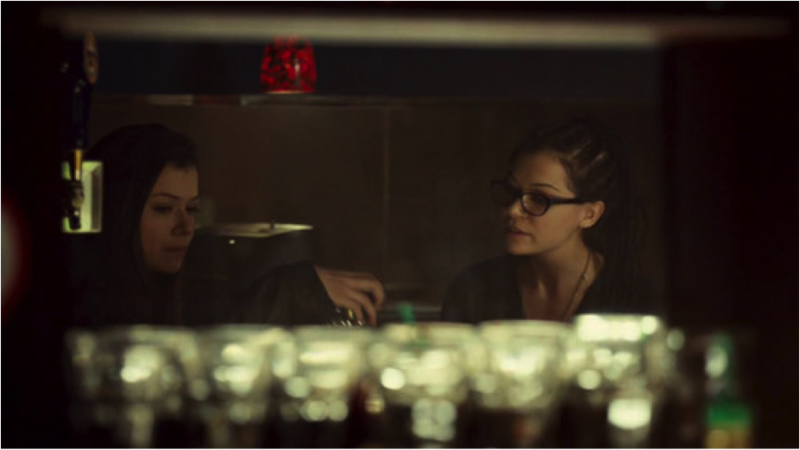 Helena believes she is the original, and, therefore, doesn't align with what the mirrors symbolize in Orphan Black; a reflected and repeated identity is not something she has been taught to accept or confront. Instead, the extremity of Helena's abuse has fragmented her identity so severely that she doesn't have a reflection for the same reason Dracula doesn't have a reflection: there's no soul to see--at least not at this point. Helena's fragmentation, however, is internal. The cinematography comes into play when the aperture of the camera lens is constantly changing to make her life appear as a jarring haze of different focus points; accompanied by the stress-inducing, high-pitched screech of her theme song, we can infer that these elements portray the jagged pieces of her broken mind. 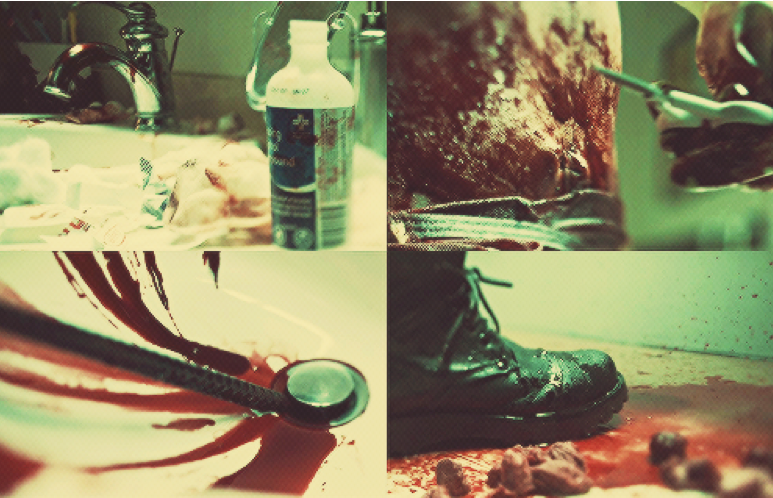 The entire surgery scene is a compilation of fragmented body parts; we see Helena’s gloved hands, her combat boots, her lips, her eyes, her stomach, and then her back. The idea of splitting Helena into parts shows an extreme case of fragmentation. She has been so far removed from humanity that she isn’t a whole person, but rather a compilation parts. Fragmentation occurs in the cinematography of the other clones occurs as well, just in a slightly different way. In many cases, the image of each clone begins to partially split, as if the characters are being physically split in two. 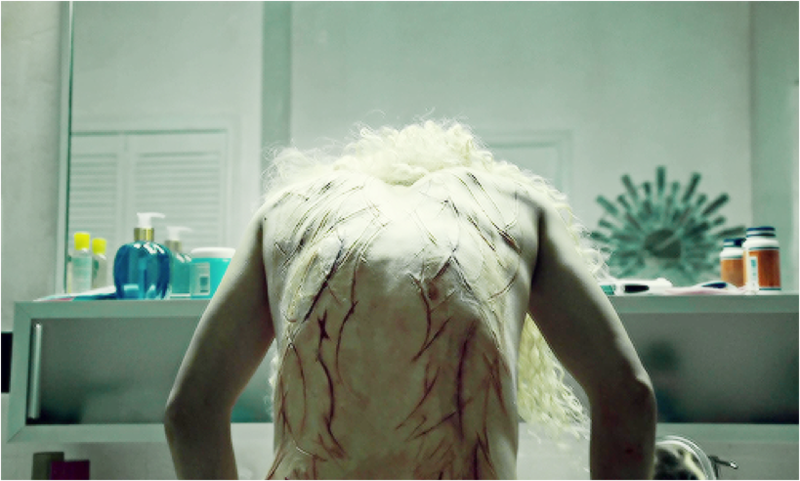 This jarring effect creates an immediate visual dissonance, and the distorted imagery parallels Orphan Black's story of fragmented self-identity. At critical points in the narrative, however, identity is not only visually fragmented, it gets totally shattered. 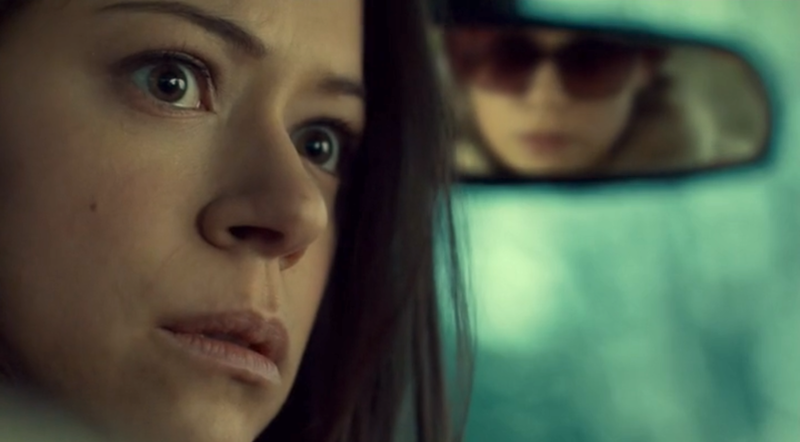 In this final scene of Orphan Black's first episode, half of Sarah's face is taken up by the windshield's shattered glass. And, really, is there a better time to insert this imagery than when Sarah's life is officially thrown into the dangerous world of Clone Club? Not really. 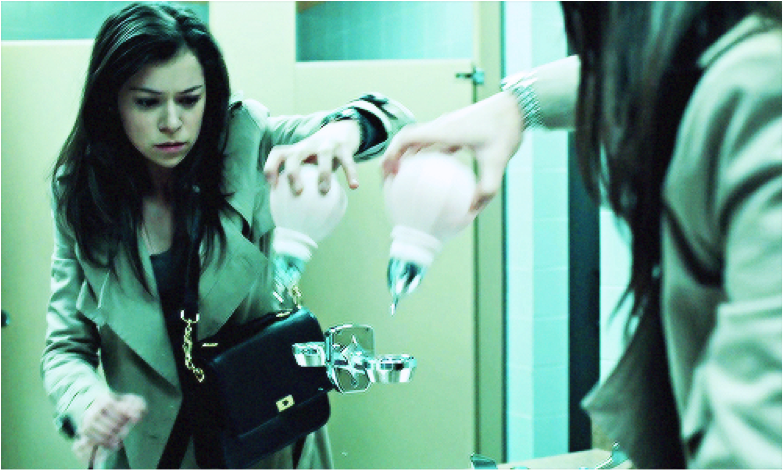 But, just in case we forgot that we really have officially entered Orphan Black's mirror maze, it's good to remember that when Katja's hotel room gets trashed by Helena, it's not just the sink that gets broken, it's the mirror too. 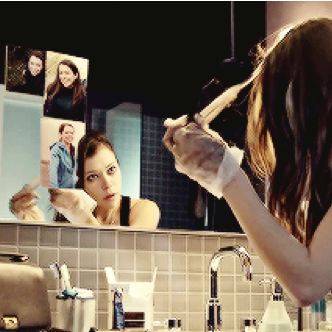 Whether a mirror reflects, refracts, or distorts each clone's image underlines the internal struggle for identity so prevalent in the themes of Orphan Black. When we look in the mirror to find our reflection looking back at us, there is an intrinsic disconnect between the image we perceive and the self we experience. When we finally realize that we are not that reflection, it reinforces our sense of self. But, it's only through the encounter with the mirror that such a realization can occur. 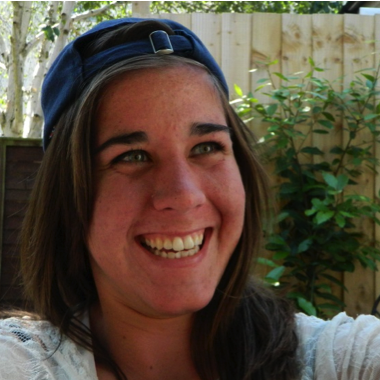 Samantha is a mirror image twin and a proud lefty. Her love for delving into the fictional world is balanced for a passion for hiking and biking.